Having spent eight years as the great Serena Williams’ hitting partner, Sascha Bajin is now the coaching force behind Naomi Osaka’s dramatic rise and rise. So who better to judge who hits the ball harder: the 23-time major winner, or the 20-year-old US Open champion? The next, then, of who is more competitive, draws from Bajin a long and thoughtful pause. “I don’t know that either! Like, they’re so close. It’s a little different, but both of them, they both want to win every single time. And Naomi, too, everything we do she always kind of wants to win, that’s why we have always these little battles in practice: ‘loser does this, or loser does that’. She’s super-competitive. “Serena, of course, everybody knows how competitive she is, but Naomi’s right up there with her.’’ Which is quite the compliment, and one most players would take. Williams won her first major, the 1999 US Open, at the age of just 17. Osaka’s maiden triumph was also at Flushing Meadows, and came a month before her 21st birthday. Bajin says fourth-seeded Osaka is capable of anything, and showed in New York that she had something special. 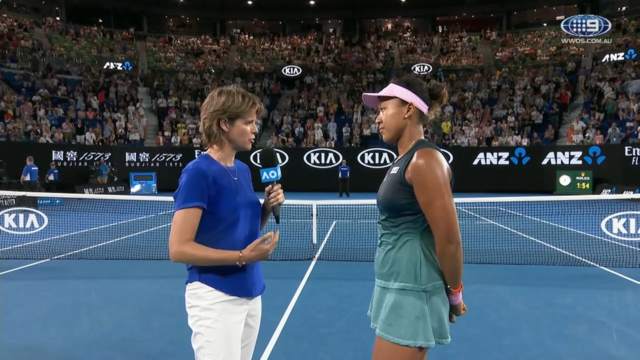 If she wins a second slam on Saturday night at Melbourne Park she will not just fracture the Kvitova fairytale, but break new ground for Japanese tennis and seize the No.1 ranking as well. Bajin finds her smart, and very coachable. He has worked to add variety to one of the tour’s heavy-hitters, tweak her serve slightly, and - crucially, through trainer Abdul Sillar - improve her physical conditioning. She is emotional, which he likes, and plays what he loves to call "a beautiful game". An on-court problem solver is an off-court funster; coach and player sharing a sarcastic sense of humour. Osaka likes to play the odd trick on the WTA’s Coach of the Year - hiding Bajin’s phone should he leave it unattended, for example. “Just little stuff to keep me on my toes, more or less,’’ he smiles. 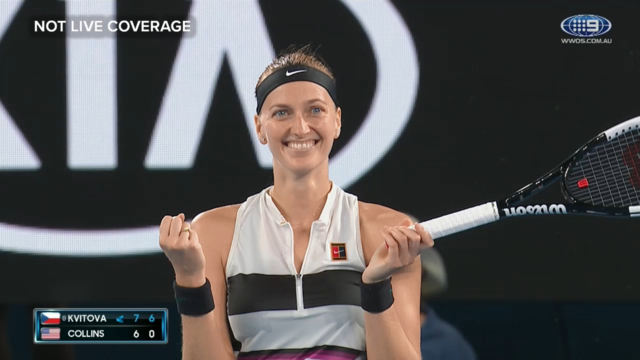 Kvitova’s relationship with Jiri Vanek started far differently. Traumatically, in fact. Not a ball had been hit after their collaboration officially began in late 2016 when a violent intruder held a knife to Kvitova’s throat in her apartment in Prostejov. In defending herself, Kvitova suffered horrific nerve and tendon damage to the fingers on her dominant left hand. The grave doubts the dual Wimbledon champion would ever play again have been well-documented. Vanek admits he shared them. The former world No.74 also, with wife Marketa, opened up the family home in Prague, where Kvitova stayed to be near her surgeon after the four-hour operation that would save her fingers. “We said ‘you have to move to Prague’ and she said ‘I don’t want to be alone’,’’ he recalls. “My wife decided ‘she can come to our house’, and we prepare everything for her and I was being her chauffeur for the (medical appointments).’’ In the process, a fledgling bond was strengthened. It has endured. Despite another seven WTA titles, notable grand slam results proved elusive, with Vanek having to convince the popular Kvitova that she needed to stop playing for her parents, team and all those who had supported her through that horrific time, relax, retreat into the “bubble” where he says she accesses her “killer instincts” and start playing for herself. On Saturday night against a fearless young opponent, the 28-year-old Czech will be competing for a first Australian Open title and the No.1 ranking that eluded her through an agonising semi-loss here six years ago, in her first major final since Wimbledon in mid-2014. There will be tears if she wins it. Buckets of them.